For the past three years the department’s academic advisor, Suzanne Rosser, has conducted a course specifically designed to introduce new students into the geology & geophysics program. It started as a small class geared for transfer students to meet faculty, and has grown to include transfer students, freshmen, and students who have changed majors into our program. This course now focuses not only on students getting to know the department’s faculty, but also exposes students to university resources, such as the academic success center and the writing center, as well as other geologic exposure. This course also has a high impact learning experience where students are introduced to various aspects of geology and are given the opportunity to go outside. Students will take a field trip to Canyon Lake Gorge this October 22nd to explore the geology in Texas. 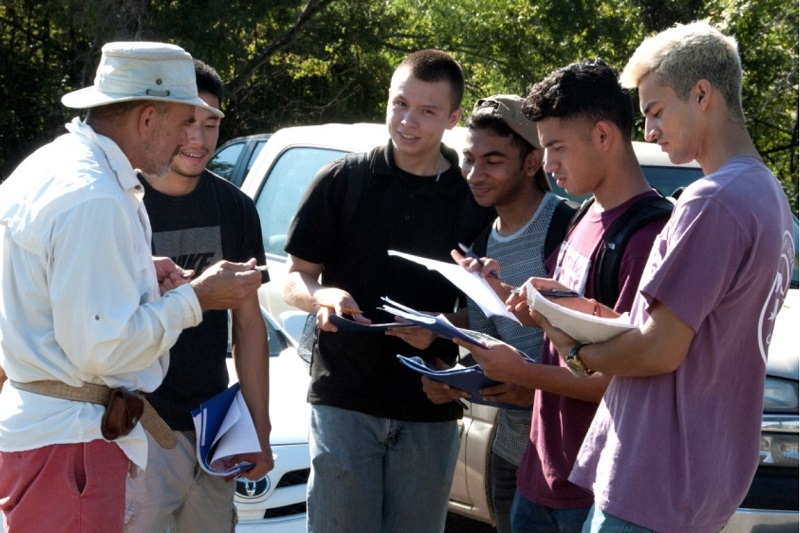 Click here to see pictures from the student’s trip to nearby Hensel Park where they completed simple field exercises, such as taking a bearing and calculating a proper scale for their maps. This course is a part of the department’s new undergraduate curriculum, to be in effect Fall 2017.